Bounded by wetlands and enhanced by a beautifully landscaped natural setting, the award-winning Gran Park at The Avenues is located in the heart of Southeast Jacksonville. The eight buildings provide 715,000 square feet of office, industrial, and flex space. 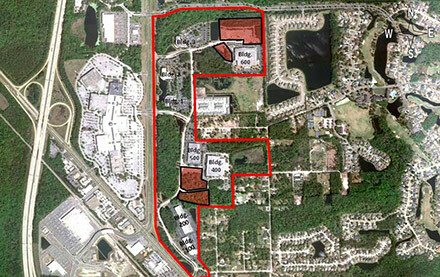 Gran Park at The Avenues is conveniently situated at the intersection of I-95 and U.S. 1. Nearby amenities include The Avenues mall, restaurants, lodgings, and residential communities. Click Thumbnail to open photo gallery.